I have 3 Tie Fighters, set #7146. Each one included one of part 30000: http://www.peeron.com/inv/parts/30000 on which one stud has LEGO printed on it in the opposite direction as the other three. these are the only pieces I've seen with the imprint not all the same direction. The three other parts like these in each set were normal. I have 2 of set #7566 Farmer. The head in one set does not have holes inside the stud, but the head in the other copy does have the holes like most other heads made recently. Both were bought at the same Kroger store. Anyone else notice any oddly made pieces in their collection? i noticed the same thing in my winter toy shop #10199 that i just put together. One of the seven or so heads didn't have the holes on top. I did notice though that the one without the holes was the only double sided head. Huh-- the head doesn't have ANY holes going through the stud all the way? Or are they simply shaped differently? I believe the reason they started making the holes was a safety thing-- kids that swallowed minifig heads could still (in theory) get air if the head was lodged in their windpipe. I'd be surprised if they took a step *backwards* in safety, unless there's some other gain to the newer design? As for the misaligned studs, it happens now and again-- the molds get assembled before the injection molding process starts, and the direction of the LEGO logo on the studs is variable. They try and make sure they're always in the same direction, but sometimes they get assembled erroneously and it's not caught. ^ I thought the holes were to make removal of the head easier. If there are no holes and a seal forms around the connection point, then the vacuum inside the head would make removal of the head difficult. The holes prevent a vacuum from ever forming. Do Customer Services still do such things? Davee123 I would buy the theory of the hole in the head except that most kids would probably be more likely to choke on a full piece rather than a head. A head being small and round would be harder to get caught. Thats just my thinking on it and you may be absolutely correct. 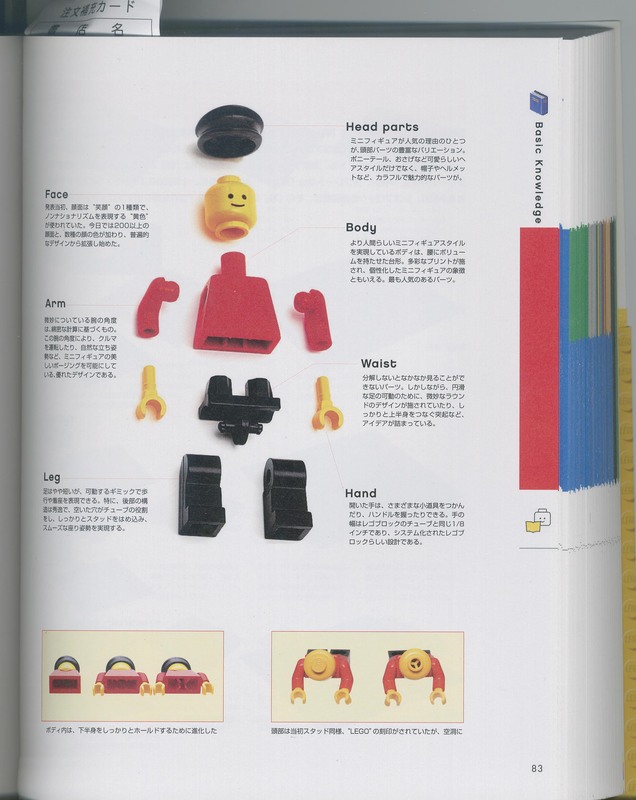 So, background: there's a book that LEGO came out with in Japan, called "LEGO Book Museum" (volume 1). This guy gave a review of it, which is unfortunately lost to the internet ether. The response indicates that his review indicated an "anti-choking" reference relating to minifigs, but apparently wasn't specific, leading people on LUGNET to speculate that they were referring to the hollow-stud head. "One of the reasons for the minifigure's popularity is the rich variety of head parts." But the next bit I can't quite figure out. Something about ponytails, hats, and colorful attractive parts. Which I've also got some trouble translating, but seems to be merely saying that the head used to have a solid stud with "LEGO" on the top, but now is hollow. So, I haven't found anything about choking on the page, but I believe that's the page that the original reviewer was referring to. Anyone speak enough Japanese to know? Anyone speak enough Japanese to know? Yeah, but only if you turn it into electronic format first, right? Unless it has some image recognition software I'm not aware of? That's the part that takes the most time-- hunting down the unicode character that corresponds to the kanji/hiragana/katakana used in the text. Once that's done, you can dump it into a few translators that are out there (that's what I did, with two translator programs). But if you know of one that actually can scan an image, that'd be much easier! I have clone ARF troopers from 4 different sets (well, all set number 7913, I just have 4 of this set), and I have 2 of each print variation. The eyes are different. But these mostly happened years ago (anyone say Samsonite Lego). 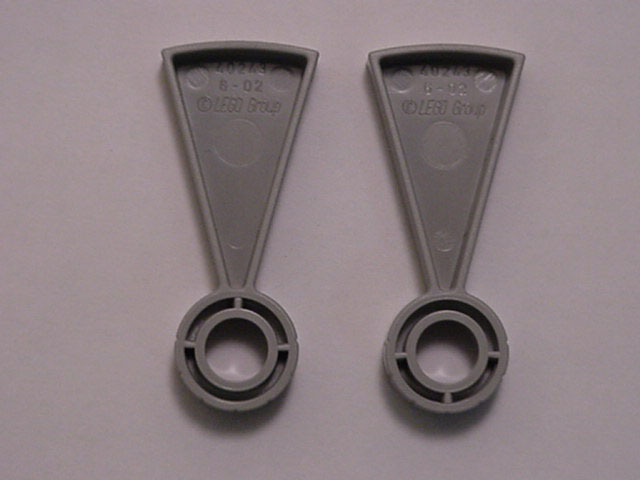 If parts are slightly different nowadays, it's mostly due to Lego changing the molds to make for a minor improvement. But mistakes still slip through the high quality control. I also do not believe the holes in the heads were for anti-choking, the heads are to small and round to get stuck in your windpipe. If anything, I think it was to save on ABS and maybe to make alignment easier because fig. heads went from simply one color (black) print to multiple prints. So a way was needed to make sure the heads would stay in one direction. So! I just came back from a LEGO meeting and we heard from Jamie Berard that yes, indeed, minifig heads DID, in fact, have holes in the head as a safety measure to prevent choking. However, the story goes that LEGO has now come up against a lot of competitors (like the new Kre-O line from Hasbro), and now they're more eager to get the LEGO logo put onto bricks. In particular, they view the 2x4 brick and the minifigure (especially the head) as representative "symbols" of the company. Hence, they want to get the logo onto minifig heads. To that end, they recently re-evaluated the safety measure of the holes in the minifig head and determined that it was really unnecessary (I'm not sure of the details of why it was deemed unnecessary). Following this, they decided to redesign the head with the LEGO name on the element again, but had to have it recessed in the stud, since it wouldn't really make sense to put it elsewhere on the element. That explains why I got another head without a hole with the Smart Car I bought recently. Davee123, yes they now use "recessed stud" heads that have studs similar to the classic LEGO windows of 1958-86.... where you can see (barely) the LEGO logo inside the bottom of the hollow stud. I am reminded of another LEGO part that was remodeled not for safety reasons, but because it drove kids crazy in trying to remove them... those were the early tiles (1965-mid 1970s) where there was no lip (or indentation) at the base of the tile, and removing them from baseplates was hard enough for adults... let alone for children! I am currently building #60027 when after completing the cab of the truck I noticed a discrepancy between two of the pieces. On the roof of the cab where the 1x2 w/ a center stud goes(under the horns) the pieces were different. One had the tiny lip at the base and the other did not. I never would have thought two versions of the same piece would come in a set. I think now I will have to start looking more closely. Needless to say my sense of uniformity kicked in and I switched one from my inventory to even out the pieces. Does this occur on a regular basis? Also, why would they keep both types in production? Yes it does happen often. BL has both types cataloged, and it seems that to TLG they're interchangeable. I had about half and half in my Tower Bridge earlier this year. Here are the two versions, both are still in production. The only time I encountered that "problem" was with Plate, Modified 1 x 1 with Clip Vertical in the set #9675. I had just the same occurrence in #79008 Pirate Ship Ambush. It happens fairly frequently as mentioned above. This happens all the time, with a wide array of pieces, it's just that not all discrepancies are anywhere as immediately apparent as the groove on jumpers or the clips on 1×1 plates. Some mold differences are on the undersides of bricks, or even inside them. As a simple example, check out the undersides of your 1×X bricks or plates. In some of them, the posts will be solid, in others hollow. As to why they keep two (or three) types in production, that's simple. Money. A mold is incredibly expensive. So when TLG introduce a change, they will only make new molds to replace molds that are getting retired anyway for other reasons. They will not, however, retire a perfectly functioning mold in the middle of its life just to introduce the tiny change. They'd be losing money. Tens of thousands of monies, even. Per mold. Not even TLG are that suicidal. The other half why an old molded part may still be around is once it's molded it goes into inventory. Once there it will be use, eventually. Depending on the part and the color this may have a very fast process or a very slow one. The only reason a molded part doesn't get used is if it's defective. The same change - the groove that assists removal - happened to tiles in 1973, when all LEGO made were the 1x1, 1x2 and 2x2. So it is surprising it took so long for TLG to decide to apply this to the jumper which came out in 1978; maybe it was felt the presence of a single stud assisted removal. Ugly as the groove is, it is sadly necessary on jumpers unless you use a brick separator (which in my experience, kids never do). @schwallex- I have noticed that as well. The pices I have mentioned are the same way. some have a solid post on the underside and others have an open one. I have two Fire Brigade sets, and I did notice in one of them that the 1x2 jumper tiles have no groove around the bottom. The 8x16 tile also differs between the two sets, one has tubes around the edges only, and the other has tubes across the entire bottom surface. Another oddity is the instructions - one version has the misprints which do not give numbers on the parts callout, the other set are perfect. I got the 3865 Game: City Alarm and half the money tiles miss a colour... Should I call CustomerService? ^ I think so, customer service will almost certainly provide a replacement. I've only just realized, but a few of my many crooks from the City sets have different amounts of gold teeth. The crook in the latest prison van has four, one from the 08 mobile command centre has one, and the one in the Forest patrol car set has three?! I've got loads more of the same guy, but I haven't looked at them yet. Any one else got the same thing? I contacted Lego regarding a poor print on a piece in an alien conquest set where the legs of a minifig had the printing off centre and just looked wrong. They sent me a replacement quite promptly and also a free city police keyring. It's the second time I've had a bad print, the first being the wonder woman legs where flesh coloured paint was actually all chipped and off centre. I actually got a second one of those sets as a gift and it was perfect however. I guess the difference of parts is a bit like the sharks in the new coast guard sets. The Glasgow Lego store had them all on display and the white shark was the old style and 2 of the 3 grey ones they had on show had gills. I thought only the white sharks were varied. The new Coast Guard Helicopter set #60013 comes with a white shark. My copy of the set included the redesigned white shark with gills and a more streamlined body whereas my friend's copy of the same set came with the old shark in white. My friend @smart_as_a_brick and I were disagreeing over the shark being new and when he saw mine he was surprised. We happened to be at Brick Fair Virginia and who would visit our display? 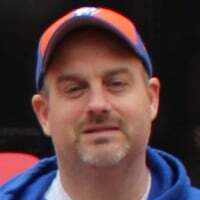 Kevin Hinkle. I asked him why this would be and he told me very simply that sometimes there are older versions of an element that need to be used up and you will at times have situations like this. Thanks...that thread is part of the reason I wanted to get that set...simply for the new shark! @bmwlego - which display was yours? BFVA was the first BF where I LUG NY set up a group display. In years past we just had our MOCs scattered throughout the different themes. This year we went all out and rented a UHAUL truck, transported our own tables down to Chantilly and set up a huge train/town/monorail/space display. We were in the back left part of the expo center. One of the things I built was a lighthouse and we used the sharks to populate the water around the lighthouse and had Aquaman standing atop two sharks from the Agents line fending off the 8-10 smaller sharks, "telling" them to stay away from the swimmers and surfers to keep them safe.